From left to right, our placement student Conor Davies with Craig Cobb and Eleanor from Computacentre, and our other placement student Jade Guest. 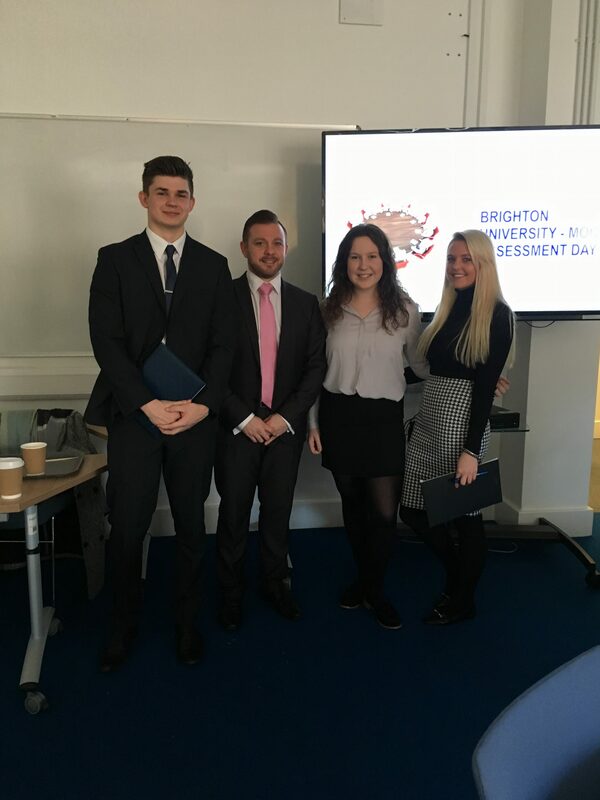 On 18 January, Computacentre ran a mock assessment centre for Business School students to help them understand recruitment processes for placements. Computacentre have been one of our placement partners for a number of years now, and have been so impressed with the quality of students that they are providing opportunities for our students to practice activities they would expect to undertake at an assessment centre. The mock assessment centres run during the day were designed around the real process that applicants would have to undertake for placement opportunities at Computacentre, including mock interviews, tests and presentations. Jade Guest and Conor Davies, who are currently on placement with Computacentre in central London returned to the Business School for the day to help Computacentre run the event. You can read more about what to expect on a placement with Computacentre here on their dedicated web pages. You never know one of these students could be heading to Computacentre in the summer! Tagged Careers, CV, Event, Industry, Placements, Undergraduate. Bookmark the permalink.